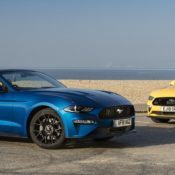 The fans of the ‘Stang in the UK will be happy to know that the new models of the pony car are available with a bunch of desirable options. 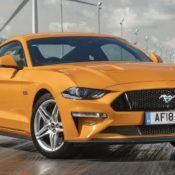 These upgrades are handpicked to deliver a greater level of enjoyment to the UK-spec Ford Mustang owners, whether they’ve bought the four-cylinder EcoBoost version or the top dog V8. If you have ended up with an EcoBoost, don’t despair, because you can now have the Active Valve Performance Exhaust technology, an option that used to be exclusive to the V8 models. This system allows you to to adjust the intensity of the exhaust sound and comes with a cool quad-tailpipe design. It even has a Quiet mode for those early morning startups. The UK-spec Ford Mustang EcoBoost packs 290PS and 440Nm of torque, and returns 31 mpg. The V8 remains the most popular version of the Mustang, though, and you can now specify yours with rev matching system, featured previously only on the most exclusive special editions such as the Bullitt. This system uses the engine’s electronic control system to briefly “blip” the throttle as the driver downshifts, making it a lot more fun to play with the 5.0 liter V8’s 450 horsepower. Among other available new options for the UK-spec Ford Mustang there is the B&O PLAY audio system with 1000 watts of power through 12 speakers, and awesome vintage-inspired colors including Velocity Blue and dynamic Need for Green. The 2.3-litre EcoBoost Mustang starts from £36,645 in the UK, and the V8 GT is available from £41,745 on the road. 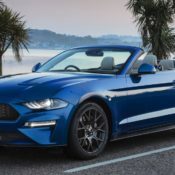 The post UK-Spec Ford Mustang Gets Sweet Upgrades for New ModelYear appeared first on Motorward. Ford’s EksoVest Exoskeleton Makes Us Want to Work in a Factory!